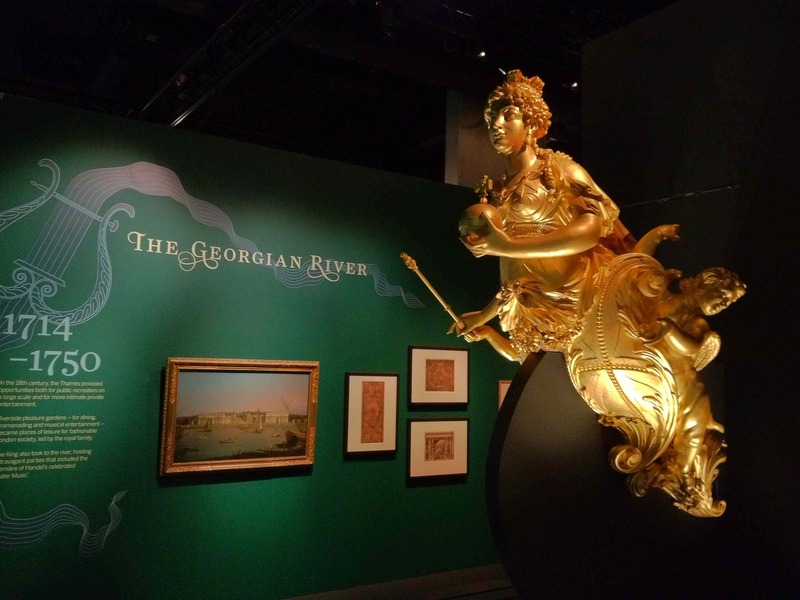 DHA were delighted to work on Royal River: Power, Pageantry and the Thames for Royal Museums Greenwich. 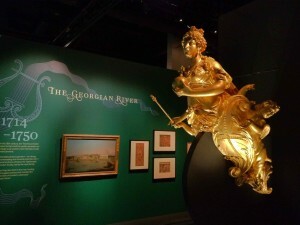 The exhibition which charts over 400 years of the river’s history, and was guest curated by David Starkey, working alongside the museum’s experienced team. The exhibition was opened by Her Majesty the Queen on 25th April, and forms part of her Jubilee Celebrations. The Royal Collection is one of the major lenders, and the objects are spectacular: from gilded barges, uniforms and figureheads to oil paintings by Canaletto. DHA worked closely with Land Design Studio and the museum’s conservators to ensure every object was treated carefully with light. Even Brian Sewell proclaimed it “brilliantly presented” in his Evening Standard review! This entry was posted in Recent work and tagged Canaletto, Lighting, NMM, Royal River on April 26, 2012 by david.